Satisfaction Guarantee or Send it Back! Try now RISK FREE! BeamArabia offers a 30-Day Money Back Guarantee! If for any reason you are not satisfied with our product and/or service, you are welcome to return your BeamArabia Arabic IPTV Box back to us within 30 days for a FULL REFUND. (Please Note: We cannot refund the initial Postage/Shipping Price). 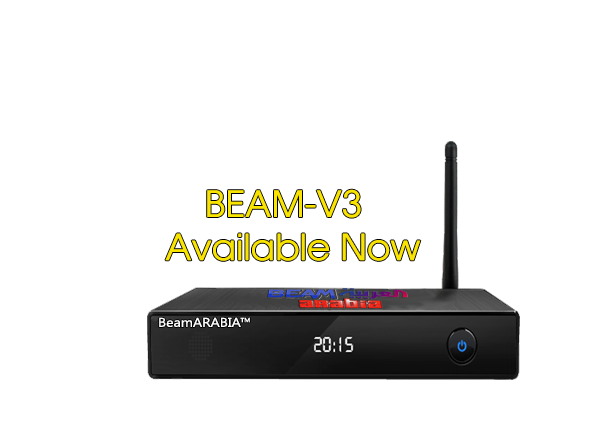 Furthermore, the BeamArabia Arabic IPTV Box is covered by a 12 months Warranty. If there is any problem with your box within the 12 month period, we will either repair or replace it free of charge. (Postage/Shipping costs must be covered by the customer). If your box is deemed faulty after the 12 month period, we will offer to exchange it for a brand new box for half price (Swap over).